Update v9.8 Revamped Networking, Darkest Night With Expansions & Fixed Voice Chat! A major part of this update focused on rewriting and optimizing the net code for object position synchronization which makes up the majority of the game’s network traffic. You will notice a huge improvement as the client when moving objects around with reduced input lag. This data will also now pass through Steam’s P2P network backend. Slowly but surely we are going to migrate all the netcode to use the Steam P2P. We also have some additional fixes and improvements for Voice Chat that should hopefully resolve the last of the issues. Thanks for your patience and post on our forums of any issues that come up along the way so we can make sure it is working properly. Darkest Night has gotten a complete overhaul with a brand new look! Read the notes in the Notebook for additional info. As this DLC was updated, please note that any existing save files will no longer work. Reduced bandwidth usage for moving objects by around 300%. Upped tick rate to 60Hz from 30Hz. Greatly reduced the input lag of moving objects around for clients with better interpolation, tick rates, and unreliable packet. Less chance of the network getting backed causing everything to be massively delayed forcing a reconnect. Added a smart system to dial back the send rate on objects when having to synchronize hundreds of objects per second. Host no longer has to network sync other players pointer that info is now directly communicated between each player saving bandwidth. Hopefully fixed up the last of the P2P errors. Dynamic quality adjustments based on packet loss. Improved voice quality slightly with newer Opus version. 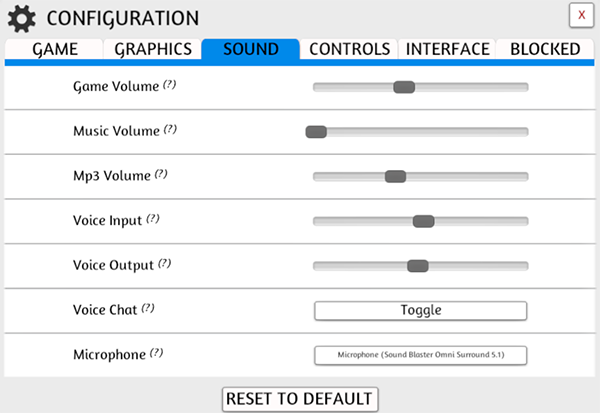 Updated Configuration menu to add in a Sound tab. You can now adjust various volumes and choose your microphone from this menu. The Game tab has been updated with some additional options like Look Speed, Invert, Field of View and Movement Speed. The Pointers have been moved to the Interface tab. Updated all sliders and scrollbars. New Model and image for the board to fix misprint. 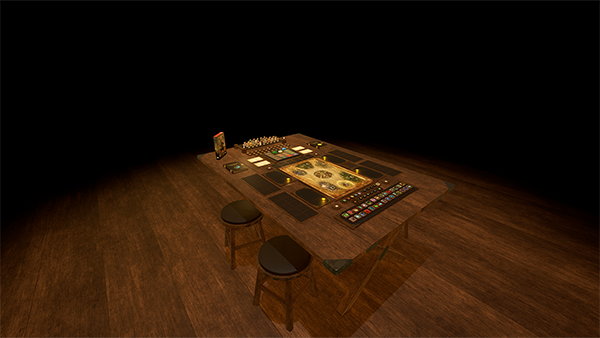 The player mats have been moved down closer to the Hand Zone. The hidden zones are a lot bigger now, about 2x as big, and moved above the player mats. Bones and Notoriety Tokens are smaller so they all fit into the hexes on the board now. “Start Game” script has been modified to adjust to board and other changes. Fixed green hidden zone so it’s no longer reversed. Backside of 3d UI is no longer interactable. Can now pick up object on top of 3d UI. Optimized hand performance with lots of objects. Fixed issue with Steam Authentication Failed messages. Discuss this post on our forums! Stay up to date on development by following us on Twitter and Facebook!